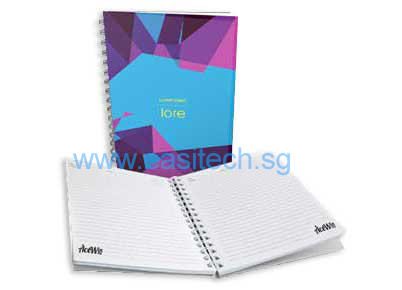 Notepad printing or notebook printing is another high quality product offered by Easitech Pte Ltd. Custom design notepad or notebook can be another idea for corporative gift. If you want to have something to keep your brand in front of your customer or prospects for a long period, you can Create custom notepads or custom notebook with your logos and pictures at Easitech Pte Ltd. No doubt, today lot of people is using digital devices for recording note. But we cannot deny that handwriting on notepad or note is still needed for everyone for some circumstances such as study note or creative brainstorming session. Easitech Pte Ltd offer notepad design template, you can download and start your design in minutes. The notepad printing price and minimum order quantity can find below. Click here to download notepad template in adobe illustrator format.